FAMILY provides home visits to families that are expecting a child or have a child under 5 years of age. Home visitation is provided by degreed and certified home visitors. FAMILY is a Parents As Teachers affiliate. Parents As Teachers is an evidence-based early childhood curriculum and model that helps children learn, grow and develop to reach their full potential. 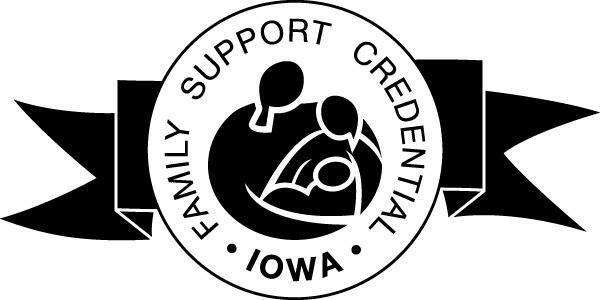 FAMILY’s Parents As Teachers Home Visitation Program earned the Iowa Family Support Credential in December 2012. Home visits provide parent education and modeling for child development to assist parents in their role as their child’s first and most influential teacher. Topics include: parenting skill development, home safety checks, developmentally appropriate activities for children, developmentally appropriate discipline techniques, and child health and nutrition information. In addition, home visitors are certified breastfeeding educators, infant massage instructors, trained in the Brazelton Newborn Behavioral Observation (Touchpoints), and Happiest Baby Educators to assist in crying prevention with fussy babies. Assistance is also provided in connecting with community resources. After enrollment, the families may receive visits until they no longer need the service or their child enters preschool or school. Weekly home visitation parent support is funded in part by Shared Visions and Promise Partners Pottawattamie County’s Alliance for Youth’s Early Childhood Iowa Funds. To enroll, call Jean at (712) 256-9566 ext. 205 or email her a jbohnker@familyia.org. Check out Pew Center on the States photo and audio tour of a visit between 24-year-old new mom Astiare Logan; her son, Andrew; and their home visitor, Laura, provides an intimate glimpse into these voluntary parent mentoring programs. Why invest in home visitation?